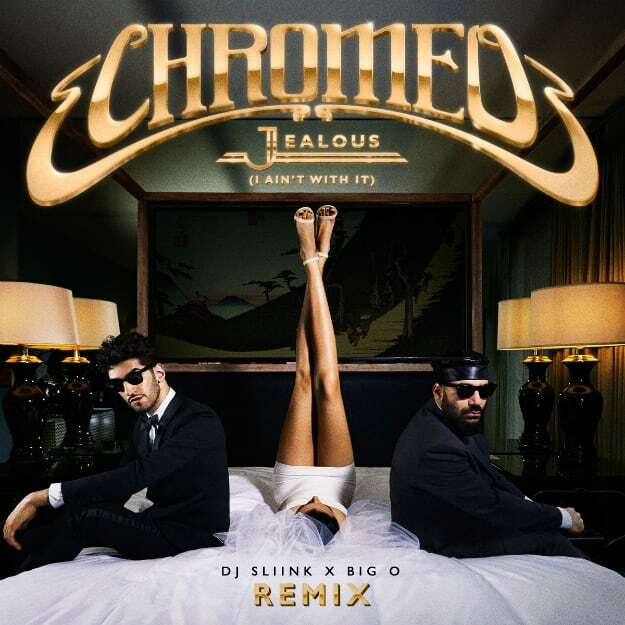 Chromeo - "Jealous (DJ Sliink x Big O Remix)"
Is 2014 that year that Jersey club starts getting those ill official looks? Just one day after receiving word that DJ Sliink&apos;s remix of Trey Songz&apos; "Na Na" was signed to Atlantic, we get word that DJ Sliink and Big O have remixed Chromeo&apos;s "Jealous," with this rework getting the preview treatment just days before the release of Chromeo&apos;s White Women. As with any awesome club rework, Sliink and Big O know how to keep the original&apos;s integrity while snatching the right lines from the original, turning them into mini-anthems of their own. We&apos;re not sure how big the original goes down in Brick City (or wherever else you can hear the club sounds go down), but this remix will make all of that right.